The third BO3Fridays stream has ended. 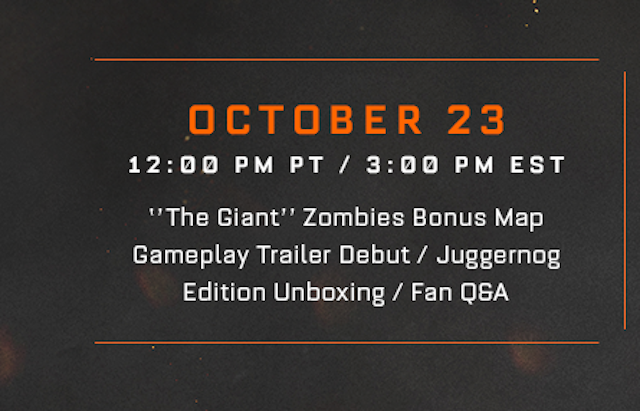 During today’s stream, the revealed a new trailer for The Giant, unboxed the Juggernog Edition, announced a new giveaway, and answered questions about Zombies. If you missed any of the new details, or have missed any previous BO3Fridays info, visit our category page here to catch up. Tune in next Friday, October 30th, at 12PM PT / 3PM ET for the last BO3Fridays live stream.